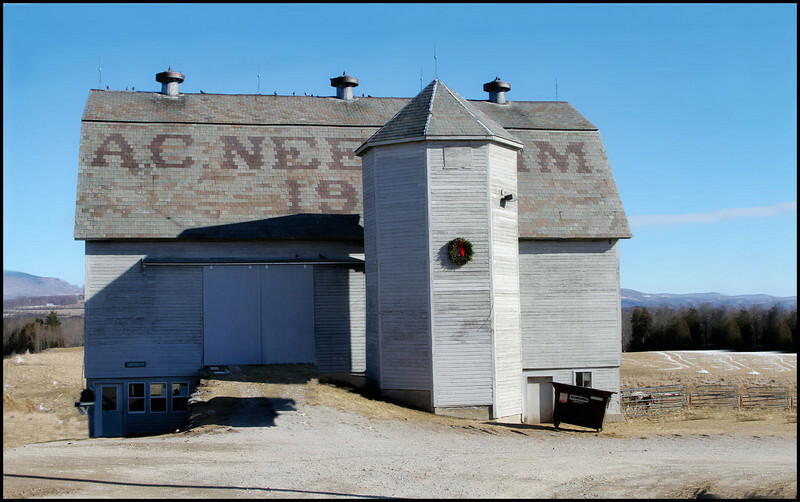 Vermont has approximately 12,000 historic barns and loses about 1,000 barns every 10 years. Barns that are not being used or maintained are in danger of loss. The history they represent,value they contribute to Vermont working landscape, economy, & communities is important.. Saving barns depends on individual action funds and State barn preservation grants which assist approximately 25 barn owners each year..
Why are so many barns painted red? Searching google i found --"As European settlers crossed over to America, they brought with them the tradition of red barns. In the mid to late 1800s, as paints began to be produced with chemical pigments, red paint was the most inexpensive to buy. Red was the color of favor until whitewash became cheaper, at which point white barns began to spring up." Regardless of how the farmer tinted his paint, having a red barn became a fashionable thing. They were a sharp contrast to the traditional white farmhouse. Barns are wonderful structures full of history and here are a few lovely barns that i have photographed. 100 y/o Barn located in Whiting,VT.